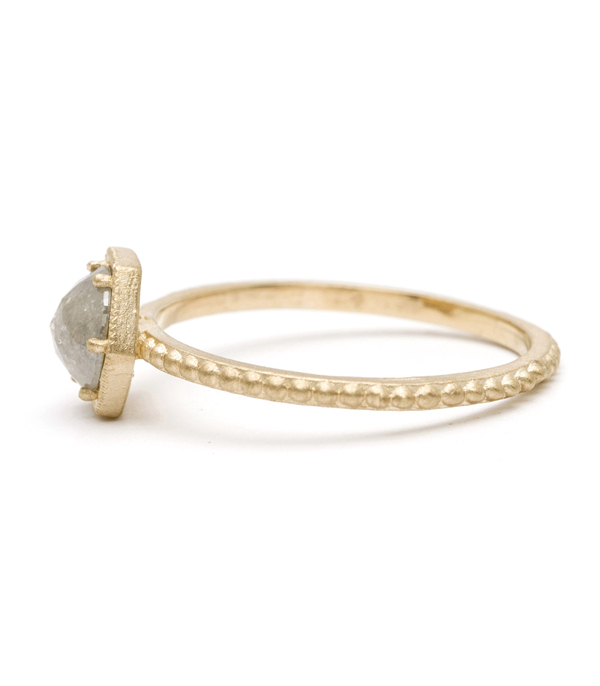 Modern aesthetic and old world charm come together in this understated14K matte yellow gold ring. 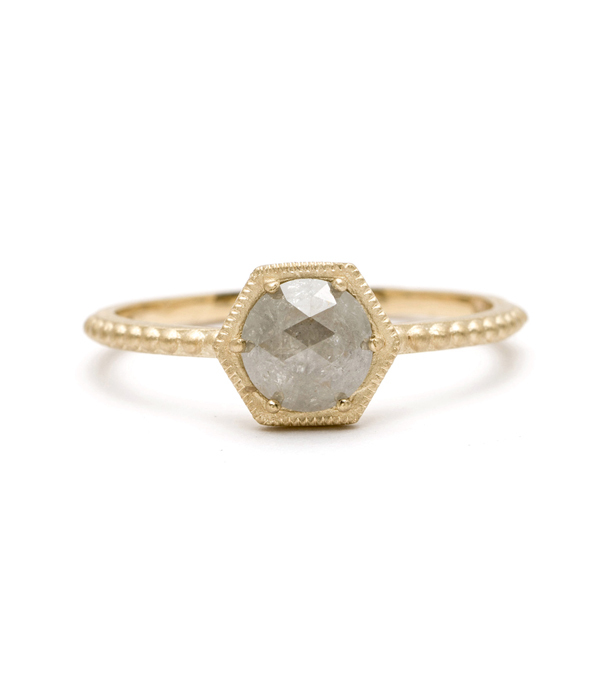 A rose cut salt and pepper diamond (0.60ct) is set in a east/west hexagonal frame centerpiece on our signature nail-head band. 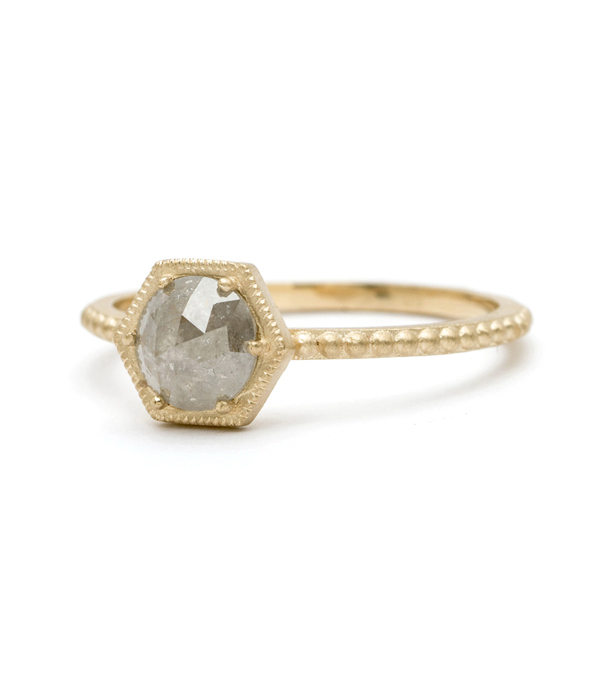 This one-of-a-kind piece would the perfect engagement ring or stacking ring for a contemporary bride who is not afraid to rock tradition.